The Long Sleeve Shirt Dress is a romantic and flirty addition to your wardrobe. The shirt dress originates from the post-World War II fashion trend of the 1950’s. Because of their comfort and easy style, the shirt dress became a staple of women’s fashion and continues to become a recurring trend. 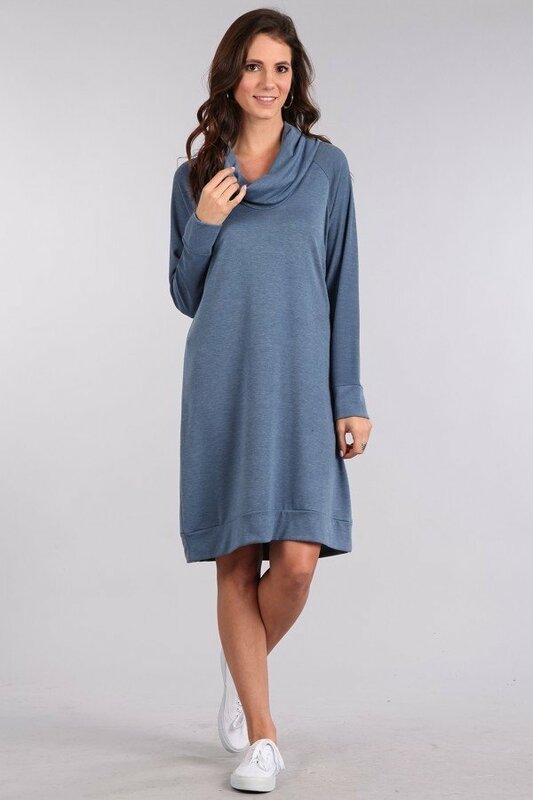 You can wear this Long Sleeve Shirt Dress casually or dress it up with a few choice accessories. If you want to go casual, wear this dress with a pair of sneakers or ankle-length booties. You can also wear a pair of leggings under the dress for a more comfortable look. Create a more formal look with a statement necklace, flat knee-boots, and dark-colored tights. With the back-belt detail, you don’t need to worry about wearing a belt since it’s already built in!